My step sister has got me hooked on stitching (embroidery) and after a few test designs I thought I could move onto something a little bigger. I got some new Sublime stitching patterns at a local yarn store the other day and as soon as Miss S saw the squirrel she asked for one. I had no idea what I was going to do with it but when my 5 year old looks at me with those gorgeous brown eyes and says please make me something I just melt! After I started on the squirrel Miss S asked if the squirrel could be a blanket for her stuffed kitty. Then I had a fabulous idea!!! 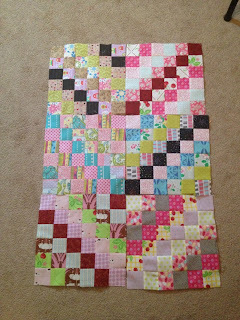 I'm going to turn it into a mini quilt/wonky log cabin block fit for a stuffed animal. I can practice a new technique and Miss S can have a little quilt for her favourite stuffed animal. 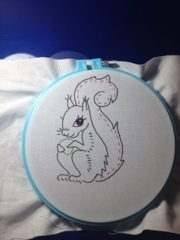 I have the stitching done on the Squirrel, now I just need to figure out the sizing of the block and I can get to work! 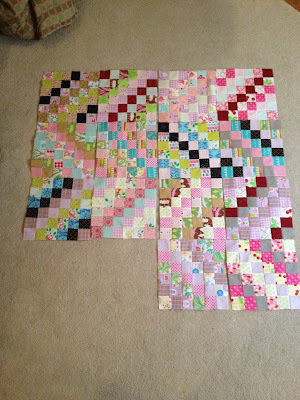 I am LOVING this Scrappy Trip Along quilt. I love the colors, I love how neat it looks and I really love seeing how much better my piecing has come along with this quilt. I am super happy with how it looks so far. I was always planning on doing 20 blocks but I think if I just do one more row it will throw off the symmetry of the quilt since I already have 5 diamonds. If I only do one more row I'll have 6 diamonds and two top half's and I think that might look off (and if I did two extra rows that would make the quilt bigger than I wanted it to be (and extra 24 inches long is too long). I would like this quilt to be a little bigger but I don't want it to turn into a great big square. I might do some funky piecing as a boarder but focus more on the top and bottom (maybe a few extra rows) to give the quilt more of a rectangle rather than a square shape. I think I need to sleep on it for a night or two - and maybe have Mr. Quiltapotamus take a look and give his very non-quilting-expert opinion too. Speaking of sleep its late and I'm so very tired. Time to go to sleep. Thanks for stopping by - see you tomorrow! 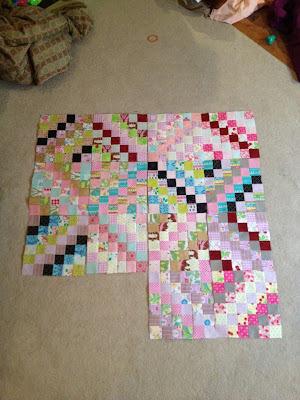 Last night I was able to get another 6 blocks done on my Scrappy Trip Along quilt, its coming along really really well. 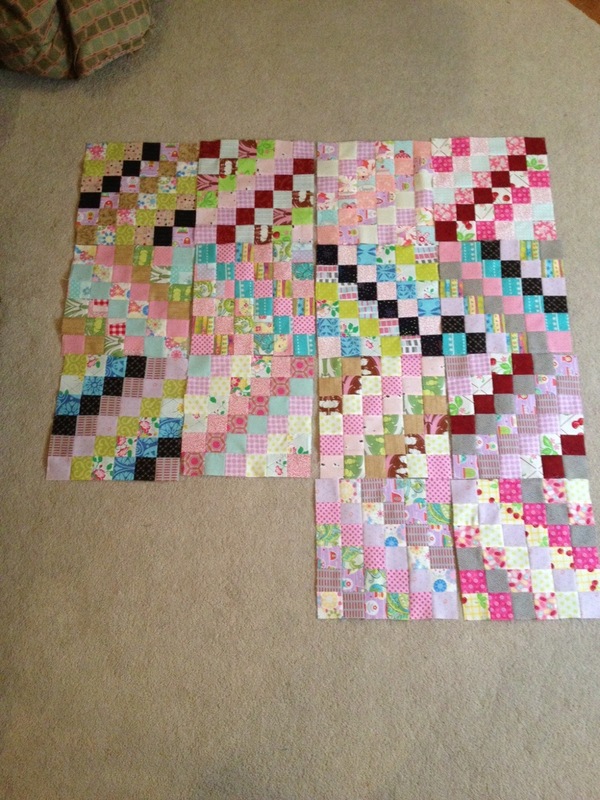 I have 14 blocks so far and am planning on making 20 for the quilt top. I think my vote is for the diamond pattern!! I really like it over the zig zags for this quilt but I wont make a final decision until after all the blocks are competed and squared up. Tonight is my guild meeting (thank you to my amazing Sister for watching the kids so I can go tonight - hubby is away) so I don't think I will get any piecing done tonight. I'm going to bring my Eye Spy and Party Monster quilts to the meeting tonight for show and tell. Neither of them are 100% finished, I am having issues with my binding and I'm hoping that some of the fabulous ladies there can give me a few tips to make it easier. I have no idea why joining the end tails of binding is such a problem for me, but it really does (I've already messed up on the Party Monster binding three and a half times - it had to be put away for a few nights!). There has to be hope for me of 'getting it' soon. I started sewing last night with the full intention of getting at least 6 more blocks done like I had the night before. After sewing and cutting and sewing and cutting and cutting and sewing my brain had had enough and I needed to call it an night after 3 completed blocks and 1 block that was stopped at just 6 rows with no sub-cuts. 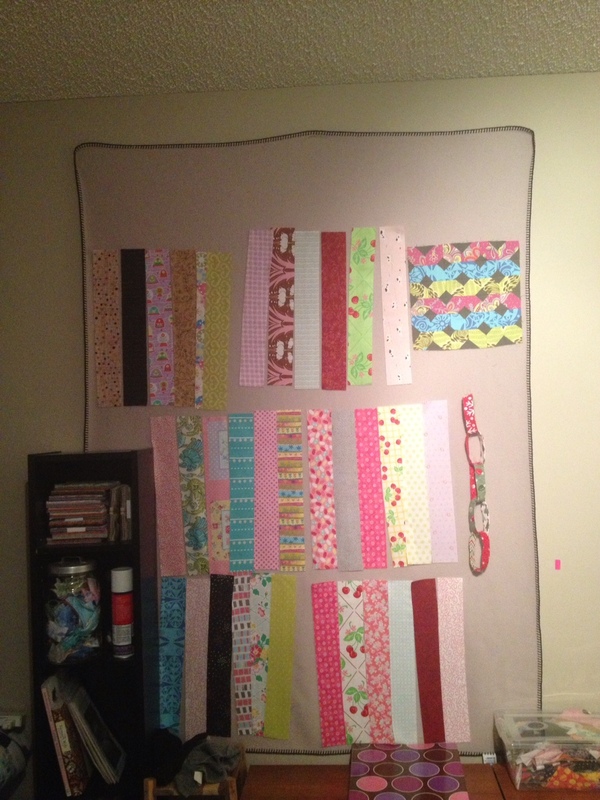 After putting the first 6 blocks up on my design wall I decied that I only want pinks, reds, or purples in the main diagonal 'row'. I had already done a few with black and a cream but I can always use those as well but I really want all the middle diagonal rows to be just one of a few set colors. See how my random-esque quilt is rapidly becoming far more structured than it was origianlly intended?!? Thats ok, I like to follow rules and this will keep me from stressing out about it being too random or not random enough. I'm learning to make peace with my quilting quirkyness. 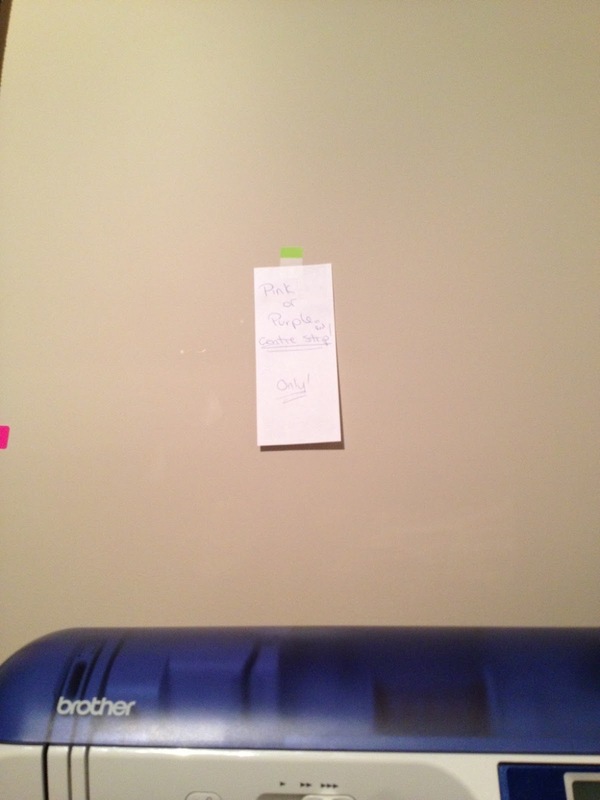 Its a little hard to read but it says "Pink, Purple, or Red Centre Strip Only", yes I need a big sign hanging right in front of me while I quilt! When I usually sew anywhere between 8-11:30 at night I need all the help and reminders I can get or else the seam ripper comes out far more often that I really should (and with a quilt like this the last thing that I need is more seam ripping!!). Thanks for stopping by - See you tomorrow!! 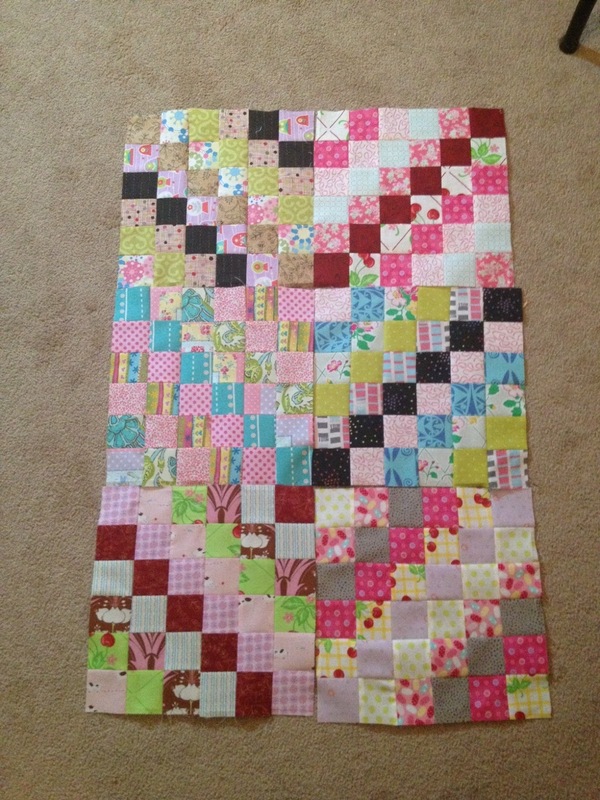 Last night I was able to power through 6 blocks of my Scrappy Trip Along quilt - its beyond cute and I can't wait to see how it progresses over the next (at least) 14 blocks. 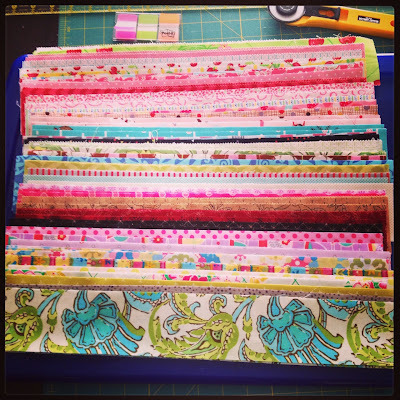 I mentioned yesterday and in quite a few previous posts that I really struggle with 'random' placement of fabric especially after looking at all the other Scrappy Trip quilts on other blogs and Instagram. 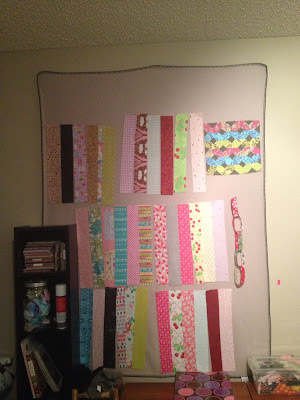 I see what other people have done and start questioning my fabric choices since everyones quilts are so beautiful. I think I am going to stick with my random'esqe fabric placement and hopefully as the quilt grows it will look at lovely as all the other quilts that I have been seeing out there! 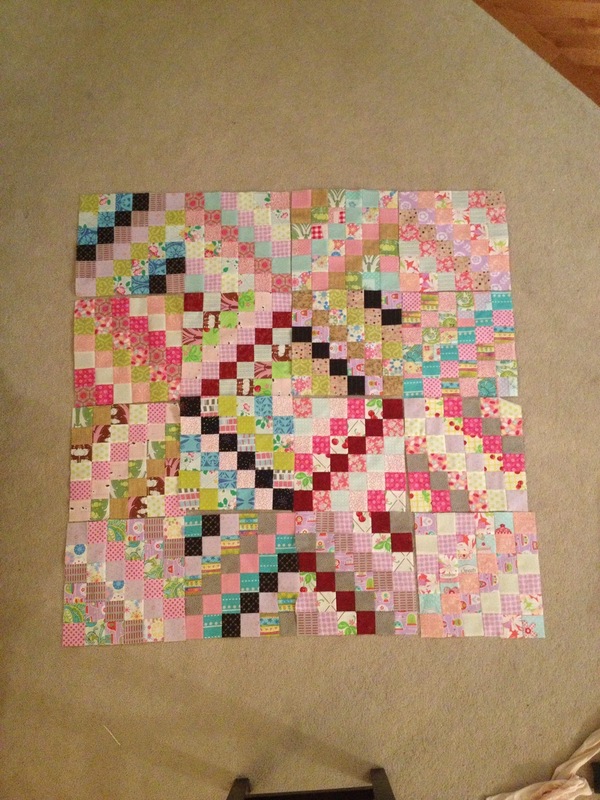 I'm hoping to get at least another six blocks done tonight (if the kids go to bed without a fuss that is!) and I can't wait to see how it all looks together. Thanks for stopping by - see you tomorrow. Scrappy Trip Along - Starting tonight! I know I said I wouldn't start another quilt until I had a few WIP's finished but after seeing ALL of the Scrappy Trip Around The World quilt pictures on various blogs and Instagram I can't help myself - I HAD to make one of these quilts! 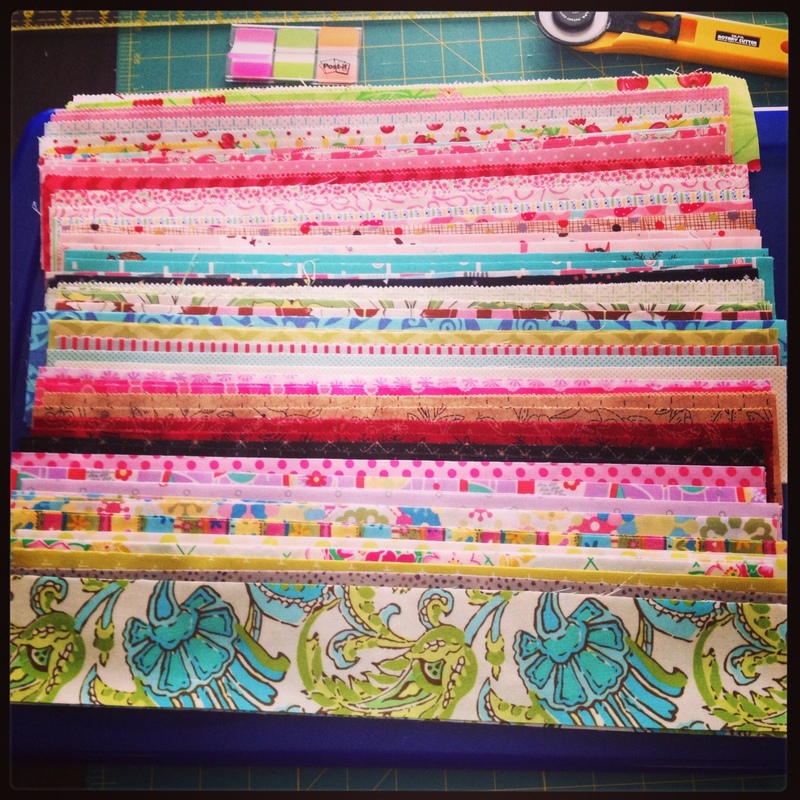 Over the past few days I cut up the fabric - 128 strips out of around 43 or so different types of fabric. I should just need 120 but I miscounted and figured a few extra 12/2.5 inch strips couldn't be a bad thing to have lying around for a project like this. After I had all my strips cut I picked a few sets of fabrics for the first few blocks and threw them up on my impromptu design wall (I stuck a fleece blanket up on the wall with 3M tape - instant design wall and super movable if need be) to see how I liked some of the colour combinations. I've said before that I totally struggle with the whole 'random' fabric concept, I like things to have some sort of order and a quilt like this really is supposed to be all about the random. Perhaps one day I will embrace the random with reckless abandon, until then I will go for random'esqe and try not to obsess too much about fabric placement. 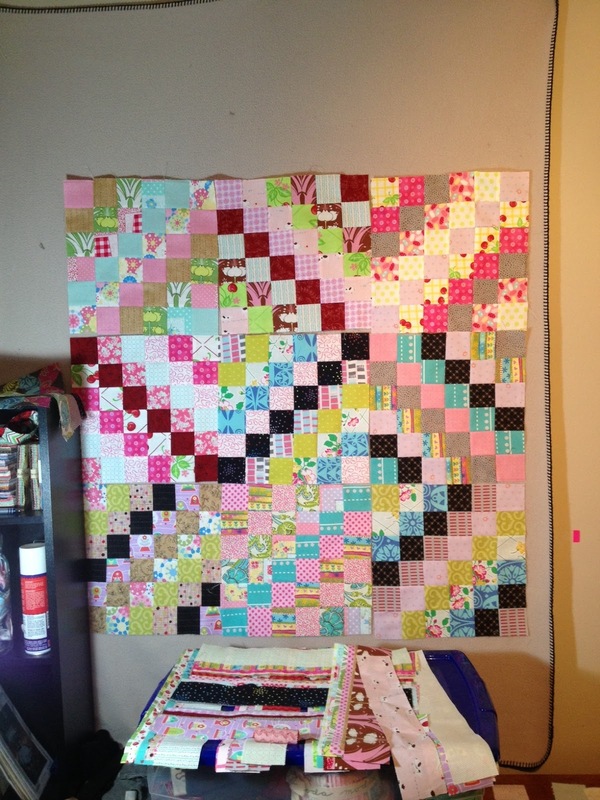 If all goes well I'm hoping to get the bulk of this quilt top done over the course of the next few nights. Hopefully I can show some progress with you over the next few days! 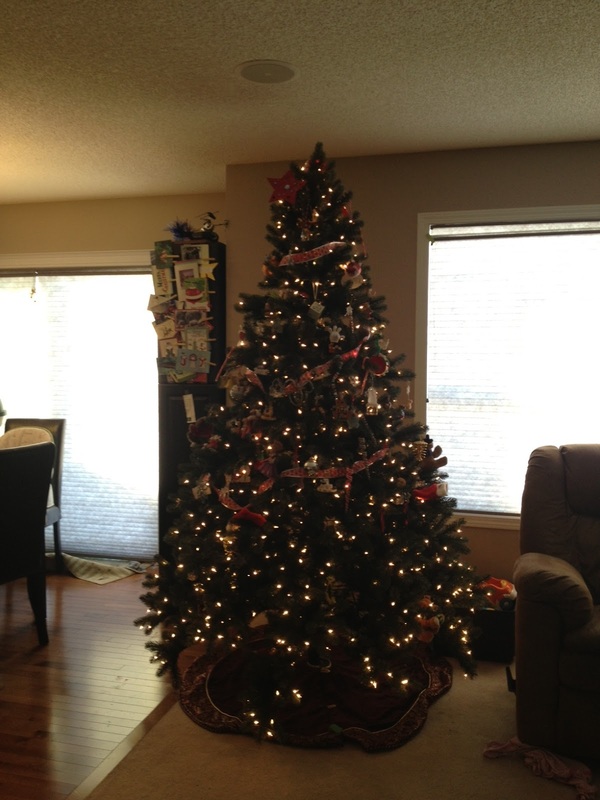 I have a confession - its a big confession......its about a seven foot tall confession..... Yep, you guessed it my Christmas Tree is still up. Its January 11th and my lovely (thankfully fake) Christmas tree is still poised in its majestic spot taking up 1/4 of my living room! My kids are crushed since they don't want me to take it down but I think enough is enough and so between this afternoon/tonight/tomorrow the tree will be down where it belongs the other 11 months of the year! To the depths of the basement it shall go! Sorry for the dark picture - its an iPhone special. If you look really hard you can see that only the top 1/2 of the tree has most of the ornaments on it thanks to Mr. C thinking that anything within his reach was fair game for him to play with, chew on or throw across the room. Hopefully next year we will have a more ornament 'balanced' tree but I think this tree was beyond perfect the way it was decorated. The girls were pretty proud of their handmade ornaments they did and I love seeing all their special ornaments every year. I'm going to enjoy having a large chunk of my living room back, but I will miss the warm glow a Christmas tree gives to my main floor. We woke up this morning to a record breaking snowfall in the City of Calgary and horrible roads to prove it. Thankfully my husband was home and took Miss S to Kindergarten so the little two could stay at home with me where it was much safer an much, much warmer! After school was done today (both kindergarten and preschool) and lunch was done along with a quick shopping trip the girls and Daddy went out side to shovel the mounds of snow off the sidewalk and driveway (and VERY graciously shoveled our neighbours walk and drive way to surprise her when she gets home!). After the shoveling was done Daddy told the girls he was going to make them a Quinzhee - which according to Wikipedia is: The snow for a quinzhee need not be of the same quality as required for an igloo. Quinzhees are not usually meant as a form of permanent shelter, while igloos can be used for seasonal and year round habitation. Essentially its a big mound of snow hollowed out into a mad made cave. My husband has gone camping in one overnight with his uncle and said it was super warm and pretty comfy. Daddy is back to work tomorrow but I'm pretty sure all three kids and I will get bundled up and trek outside to play in the quinzhee after lunch! They had a ton of fun and I know that Mr. C will be so excited to get to play in it with the girls too. I'm Jumping on the Bandwagon!!! No I'm not jumping on the Hockey bandwagon now that the NHL is back in in a few weeks, I'm jumping on the Scrappy Trip Along bandwagon! Blogs, Pinterest and Instagram are jumping with a ton of these quilts and I can't help myself - I totally want to make one too!!! I know I promised myself that I would have a "Finish" in before I would start anything new so I am just gathering my scraps and any FQ I have laying around that I could use for the Scrappy Trip quit. Last night I finished all the machine quilting on the Party Monster quilt and its ready for me to put the binding on and then its done, done, DONE! I was going to tackle that project tonight but the hubby and I decided to watch a movie instead, and sometimes thats allowed! Sorry for the Instagram picture - I need to bust out my big camera more!!! Getting back to my next project....I went digging and found a bunch of fun fabrics in my stash and can't wait to start ironing and cutting all the fabric into some 2.5 inch strips! There are some pretty fun fabrics in there and hopefully they will all work together. I will probably have to bust out some FQ from my stash to gather enough fabric for a decent sized quilt but I think I should have a good start with the scraps I have on hand. Should be a lot of fun, I'll try to show a lot of the process for anyone that is looking at doing one of these quilts themselves. Next week will be a Scrappy Trip Along week but first I need to finish the Party Monster quilt and then I am so getting to work on my new quilt. Its amazing how fast holidays can fly by! 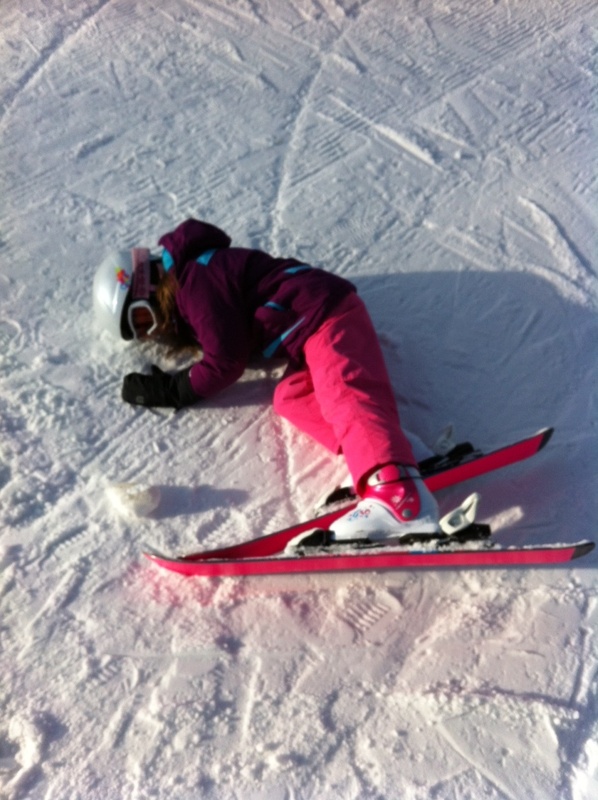 Today is the girls last day of Christmas holidays and both are back at school tomorrow. 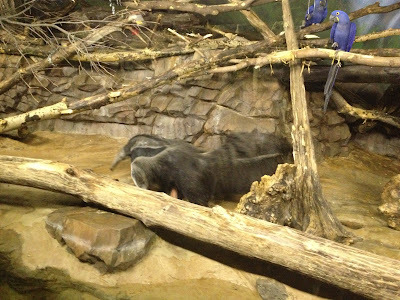 Miss S went to the ski hill to try out skiing for the first time and the little two and I went to the zoo to enjoy the fresh air and to visit some animals. Since I wasn't able to make it to the hill Mr. Quiltapotamus took some pictures and emailed them to me of Miss S on the hill (isn't technology AMAZING?!?!). 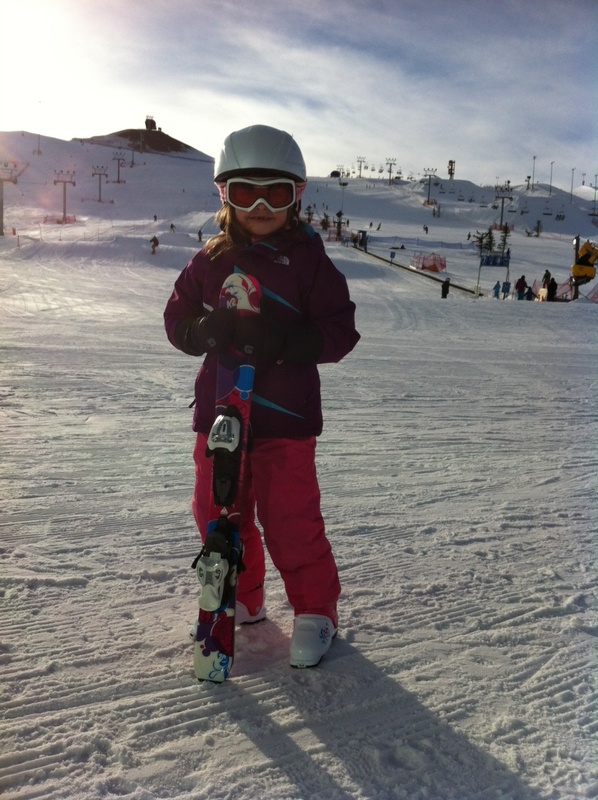 Miss S getting ready to give it a try! 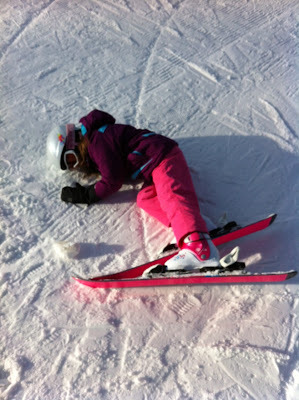 I was assured that she was just 'resting' when this picture was taken and it wasn't immediately after a wipe out. Miss S had so much fun on the 'little hill' that she was really excited to hit the 'big hill', but that will be saved for a few more visits from now - apparently she has no fear and I'd rather her not be streaking down the hill doing mach 40 without knowing how to stop anytime soon!! The little two and I hit the zoo today and it was a fantastic visit today! It wasn't too busy, it wasn't too cold, it was perfect. 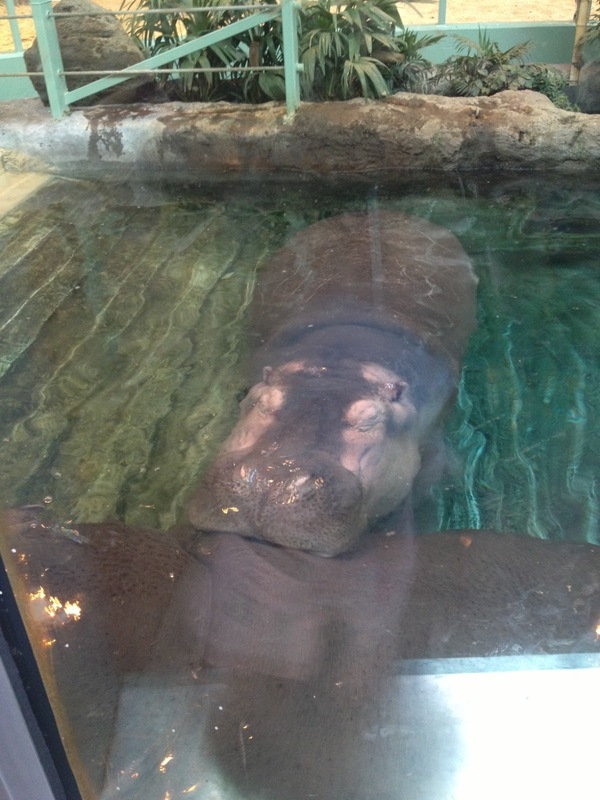 Miss L made it very clear we had to go see the Hippos - and they were quite accommodating by hanging out right in front of the viewing area. 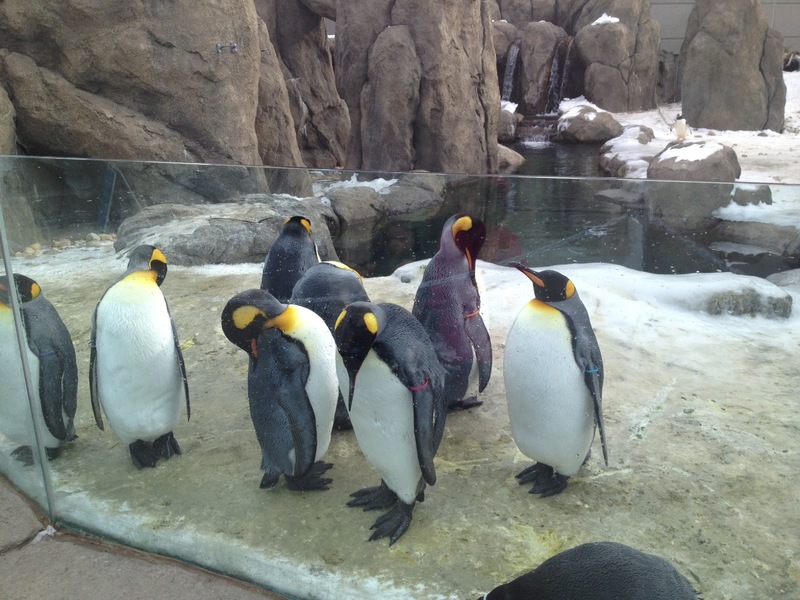 Last year our zoo opened a brand new penguin exhibit with a large area outside for the penguins to roam around in. These guys were right up against the glass and very much enjoying the cooler weather. They are so funny to watch! Probably my favourite animal at the zoo is the anteater - they just seem like a funky, rather large animal and their tails are stunning! 90% of the time when I'm at the zoo they are curled up in their little buckets like great big cats with their tails draped over themselves - thankfully today they were walking around and I got to show Miss S and Mr C what Mommy is always looking at in the big bucket. 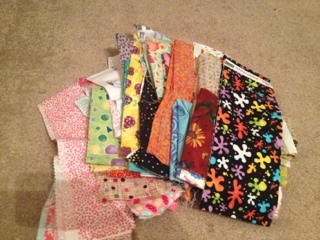 On a sewing note I did manage to get ALL of my HST cut and sewn together for my Hemming Diamond quilt last night. I need to press the final 30 or so open and then the fun task of squaring them all up starts! I'm a little torn between finishing the Party Monster quilt and Eye Spy quilt since they are both SO close to being done before I work on my Hemming Diamond quilt some more. I'm itching for a finish and I'd love to be able to knock off two quits so quick in the year. I'll keep you posted and hopefully I can post some FINISH pictures soon. I know that I've said this more than once but there are few things that beat the planning/starting process of a quilt (at least in my own humble opinion!). I love how fabric can go from a simple square to a pretty cool design with just a few cuts and a few seams. 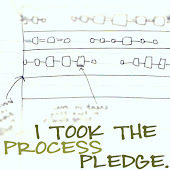 Its a pretty neat process that I rarely get tired of. Tonight I sat down to work on some of the chain piecing on my Hemming Diamonds quilt and made quite a bit of progress which was awesome. I still have quite a bit of HST's to sew but thankfully its not a huge quilt so it should come together fairly quickly over the next little bit. 2013 is already shaping up to be a fantastic year so far, the kids have had a ton of Grandparent time between hanging out with my Mom and her husband - AKA Grandma and Grandpa (along with some out of town Aunties and Uncles for most of the week), along with a night earlier this week at my MIL's house (Grammas house) earlier this week and tonight my husband and I got to head out to The Keg for dinner and Grandpa Dave (my husbands Dad) watched the kids for us. We almost never get out for date nights very often and we actually have had TWO this week - that's a record for us since we had kids! After a FANTASTIC dinner of steak I figured why not big or go home and we ordered some dessert - the Apple Crisp was mine and the Brownie was my husbands - both were delicious! Yep - that would be old Elvis crooning out some ''hits""from the "Party Pit" blackjack area. We lasted one song of him hollering close to where we were playing a slot machine that was rapidly taking our money and decided to head home. It was a good thing since we got home in time to tuck the kids into bed at 8:00 and still be able to visit with my FIL for a little bit before he had to head home. Gearing up for a Great Year. Back in early November of year I posted about my Out of Control UFO's - the list was pretty epic. I had 10 things listed that were started, partially finished or almost done. I am so happy to say that list has been cut down by a whopping two projects, but its still better than none getting completed. 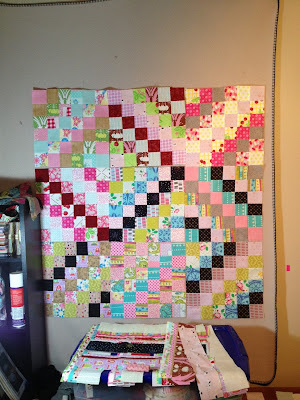 My 2013 quilting goal is to make and FINISH 5 quilts this year and I am confident that I am going to be able to reach that goal (mentally I need a few finishes - I think we all know how that feels!) and I would like to knock off at least 5 of my WIP's from last year off my list. That gives me a grand total of 10 quilts/runners that I would love to have off my WIP/to make pile and onto my finished list. I also have the two quilts I would like to make for my girls when they get their bunkbeds (which will be a process in it of itself but I am up for the challenge!) along with at least one or two scrappy type quilts from the book Sunday Morning Quilts. My Step-Sister Sherry, from B.S. Crafts was in town this week from Winnipeg for her brothers wedding on New Years Eve (fantastic night was had - they had a beautiful wedding, threw a fantastic reception and I'm so glad that we were able to share in their special day with them) and I was able to impart some of my quilting knowledge on her and her sister today. I forgot how awesome it is to just sit and talk with someone (or someones) about quilting and have them actually really enjoy themselves (or at least pretended they were enjoying themselves, they seemed interested at least!!). Sherry is just getting into quilting and it was so awesome to share with her some quilts that I have made or am in the process of finishing and actually be able to answer some of her questions on quilting like I actually knew what I was talking about. ;) It inspired me to get to work on my WIPs and hopefully be able to show her (and all of you) more finishes in the near future. Last year was a whirlwind of babies, Disney World, camping, preschool, the start of Kindergarten, camping up a storm, some quilting, and a whole host of other stuff. 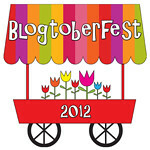 Some I blogged about, and others I didn't. Hopefully this year I can actually get on the computer and get to blogging more in addition to actually quilting more. Its just a lap quilt but I fell in love with the fabric and I wanted to do something a little more modern with a more traditional fabric. I still have a ton of HST to do but I thought I would lay what I had out and see how they all looked together. I also ordered some fabric online a few weeks ago (don't tell my husband, I'm pretty sure I did tell him that I bought more fabric but I can't remember.....shhhh, it will be our little secret) to make quilts for the girls when they move to bunk beds in a month or two. I still haven't found a pattern I like for both girls but they will be different mostly different patterns with possibly some pinwheel boarders to give the quilts some continuity in the room. In 2011 I made 102 blog entries and last year I did 110. I'm hoping to get at least 150 in this year if not a LOT more, but 150 sounds attainable and I can live with attainable for now!